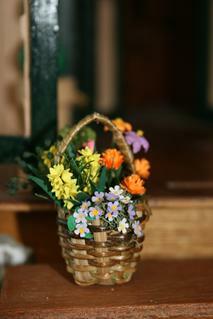 Hello my name is Kathy Buskey, I have been creating 1 " scale paper flower arrangements for my dollhouses for the past 6 years. 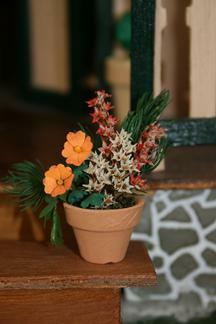 Miniature flowers make a wonderful addition to enhance the beauty of your dollhouse. 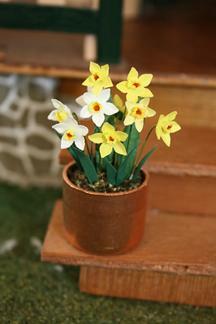 Miniature flowers can also be used to decorate a shelf in your home or the desk in your office at work. I have a miniature garden of these flowers next to my computer at work. They have a calming affect. 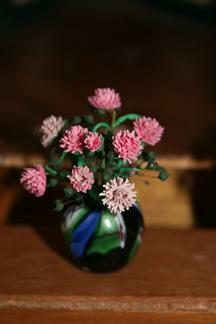 Each flower is handmade so no two flower arrangements are exactly alike, just like mother nature does. 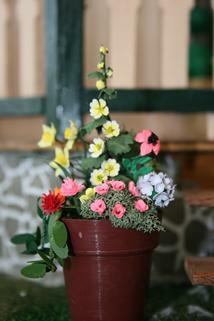 Individual flower stems are also available at a per stem price and special orders are always welcome. 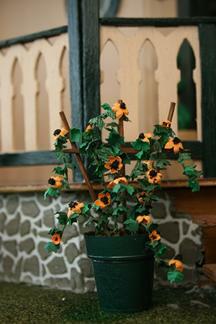 Please mouse click on the flower pictures for size and price of each item. Click home to return to main page. 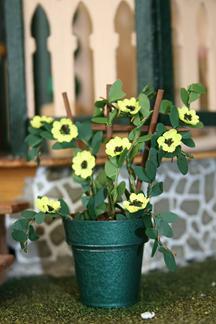 Please visit us often as we add new items frequently. We hope you enjoy your visit with us, feel free to e-mail us for ordering information, questions about our items, custom orders, or for quantity purchases.